Here at RCS Digital Printing we are lucky enough to be able to work with numerous interesting brands and companies, providing differing aspects to their advertising and marketing needs. Whether that be business cards, packaging, stickers or anything else. 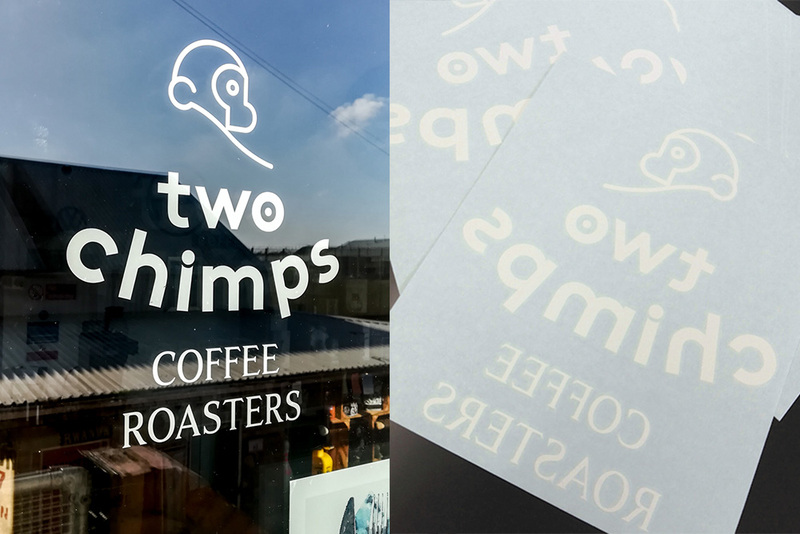 In this RCS print blog post we had the joy to hear from local company Two Chimps Coffee. 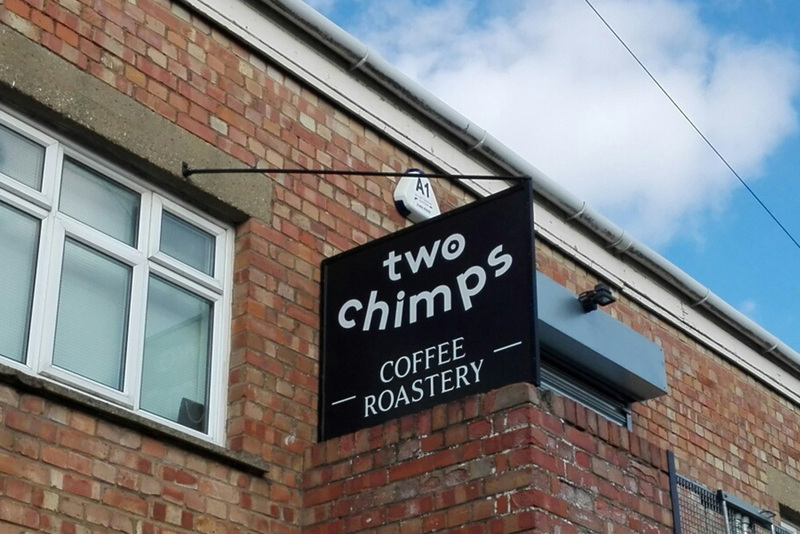 Hi, we’re Two Chimps Coffee. 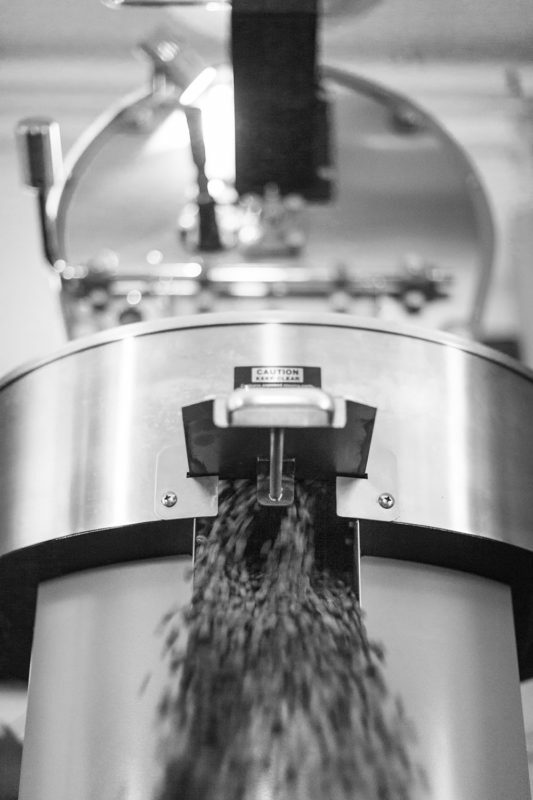 We are specialty coffee roasters based just outside of Oakham, Rutland. 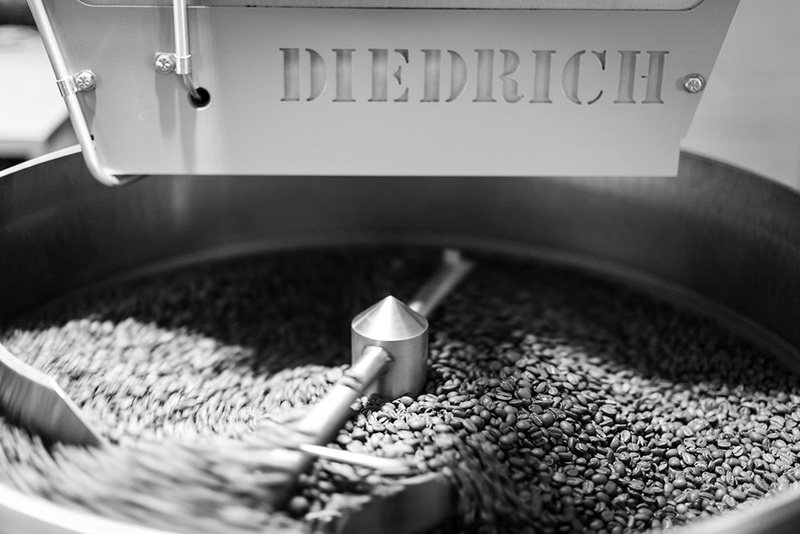 Our ethically sourced, single origin coffees are imported from small farms and cooperatives around the world. 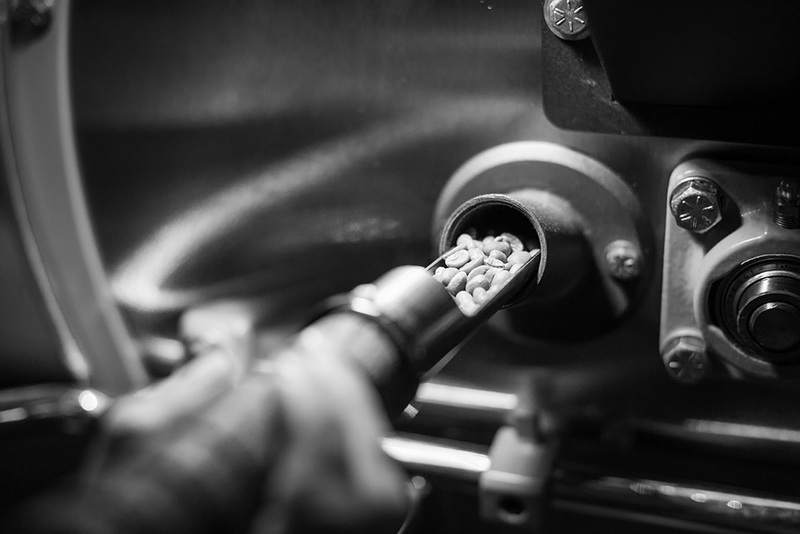 Once with us, we hand roast our coffees in small batches; making sure our coffee is as fresh as it can be. Coffee isn’t the only good thing that comes in small packages. RCS Digital Printing supply not only large run requirements but also short run and individual printing services alike. 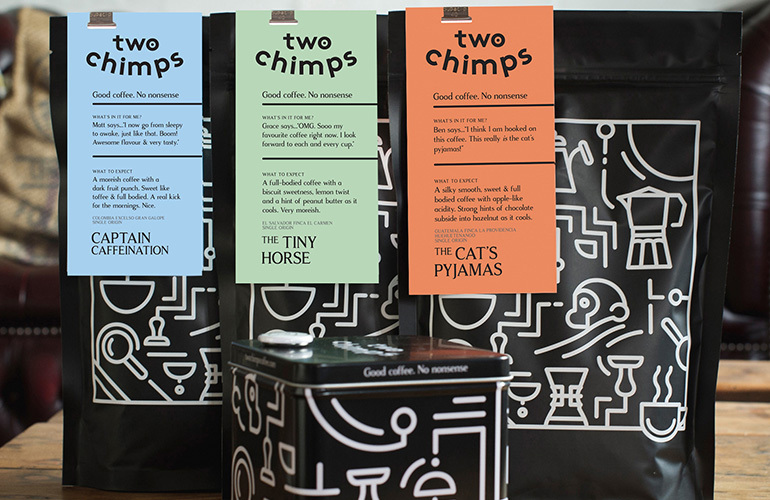 Two Chimps don’t just sell coffee to individual customers as one off bags or through a coffee subscription; we are also wholesalers to a number of businesses in the area. We provide wholesale coffee to local pubs, restaurants, hotels and many more. Our wholesale customers can order coffee as and when they need, rather than having to order boxes upon boxes at a time. This assures the coffee they are serving is as fresh as possible. We offer our wholesale customers the opportunity to create their very own blend of coffee too. For example, a local estate agent has recently created their custom blend ‘I Like The Way You Move.’ This custom coffee is sent out to all that purchase a house from their local branches. As well as supporting our wholesale and retail customers through social media and our coffee lovers blog, we love to be able to supply bespoke point of sale material. This is where RCS come in! For instance, if a client of ours is looking for window stickers to go on the front of their shop, we head to RCS as we know we are guaranteed a fast turn-around and a great product for our customer. Whenever a customer needs bespoke point of sale material, it’s great to know they are on the case to put ideas together which we can then take to the customer. Reverse cut vinyl lettering window graphics, weeded & application tape applied. Take a look at the Two Chimps website and their socials. Be sure to take a look at what Two Chimps have to offer. We were lucky enough to sample some of their products and they do not disappoint. Keep your eyes peeled for the cheeky chimps. As with every RCS print blog we would love to hear your thoughts and questions and should you have a particular subject or technique you would like to hear more on, have an article of your own you would like us to post, then please get in touch. This entry was posted in Print Blog and tagged chimps, coffee, graphics, signage, stickers, two, window.